Clematis tangutica is a dense-growing climber which is closely related and often confused with the similar Clematis orientalis. Native from Mongolia and all the way to northwest China, it is a delightful and easy to grow species with divided sea-green leaves, and unusual rich-yellow, lantern like flowers. 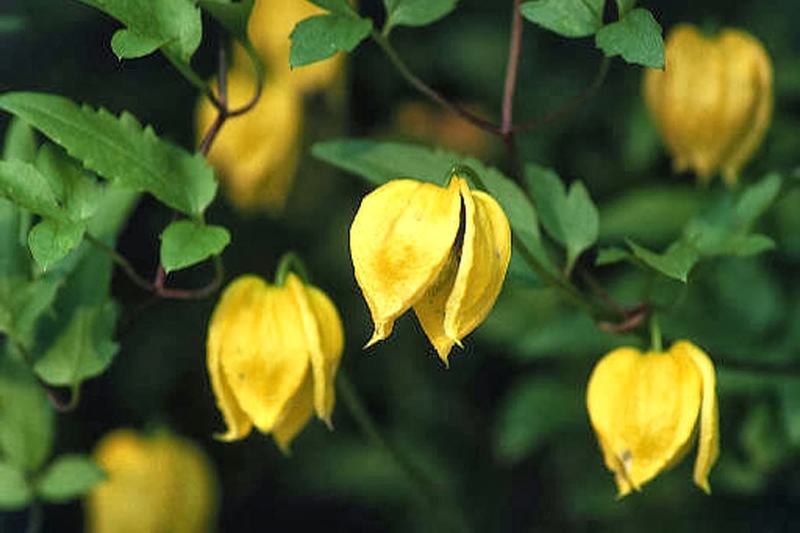 In fact is considered by many to be the finest yellow flowered clematis in production. The gorgeous flowers are 1- 2 inches wide and are produce in large numbers from July to August. These are then followed by attractive, silvery seed heads. 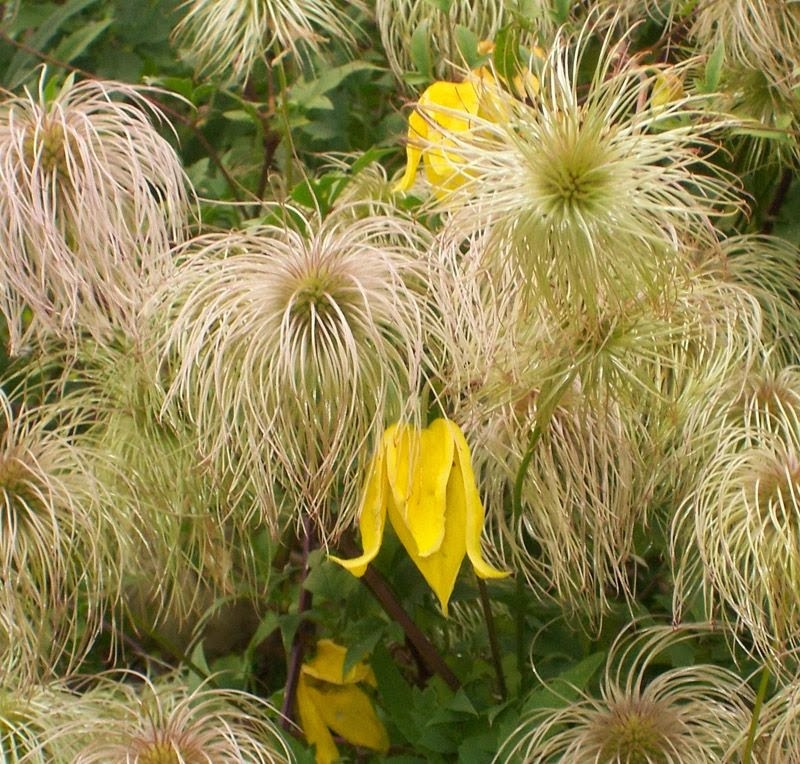 Given the opportunity, Clematis tangutica will reach and overall height of between 15 - 20 ft.
Plant Clematis tangutica in a moisture-retentive, well-drained soil. Like other clematis, the roots and base of the plant will need to be kept cool and this can be achieved by being shaded by other plants or by adding a layer of pebbles at the base. Plant the crown of the plant 3-4 inches deep so that new shoots are encouraged to grow from below ground level. This is particularly important if your clematis becomes affected by clematis wilt later on in its life. The young stems of wall-grown examples may need tying in from time to time, otherwise the are self-supporting. Give and annual mulch each spring of well-rotted farm manure is beneficial. It is not known when Clematis tangutica was first discovered and introduced to Europe, but it the earliest known date of cultivation for it is 1890. However we do know that there was a subspecies - obtuslusculawhich was discovered in west Sichuan district of China by well known plant hunter Ernest Wilson in 1908. 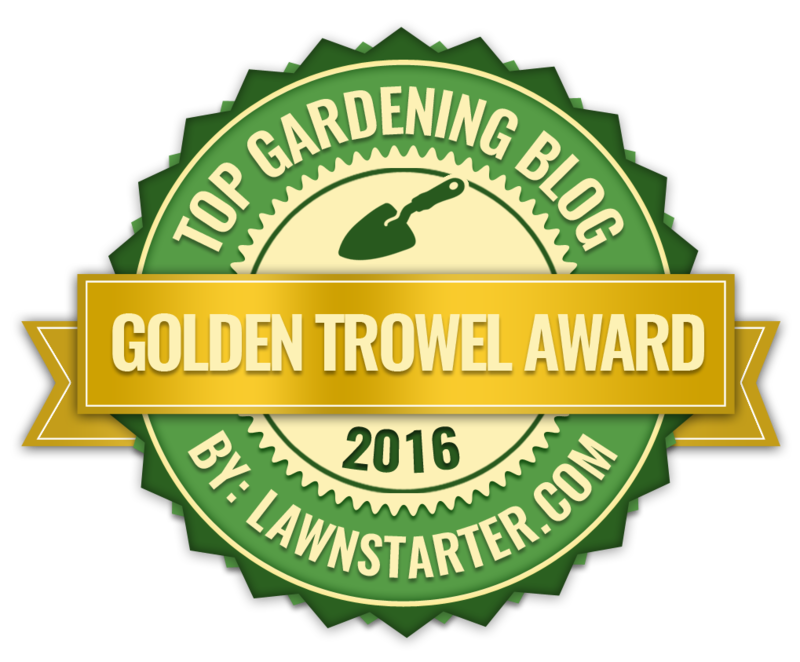 It received the Award of merit (AM) from the Royal Horticultural Society in 1913, but today it is no longer grown commercially. By contrast, Clematis tangutica had to wait until 1984 to receive its Award of Garden Merit (AGM).